It's been years since author Thom Mortenson has been back to Garrison, Colorado. As part of the committee who invited the bestselling writer to speak at the library fundraising benefit, Sadie Hoffmiller wants everything to be perfect — right down to the homemade devil's food cake she baked herself. Certainly, murder was not on the menu. When Thoms manager ends up dead on stage, Sadie jumps in to offer her guidance and expertise to investigators. But when the police refuse to take her seriously, Sadie has no choice but to pursue justice on her own. After all, is Sadie to blame if she keeps stumbling over information? Can Sadie turn her back when people intricately woven into the deception keep crossing her path? With her son, Shawn, at her side, her reputation on the line, and a full cast of suspicious characters, Sadie Hoffmiller is once again cooking her way through a case that offers far more questions than answers. Another great book in the series. An author comes back to his hometown (where Sadie lives) to speak at a fundraiser dinner, however everything turns into chaos when his manager is murdered on the stage and secrets begin to unwind. I would recommend this book for adults and young adults. It will not disappoint. This is the third of the Sadie Hoffmiller series and they just keep getting better. 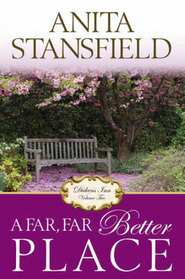 I like a good murder mystery and Josie Kilpack writes good ones. Sadie Hoffmiller,of course, manages to be right in the middle of this newest mystery. Even though the police don't want her help, she manages to uncover evidence they might not ever think to look for, and to solve another mystery. A bonus of these books are the recipes included for the goodies Sadie manages to find time to cook, while solving the mystery. Sadie Hoffmiller is at it again! But of course it's not her fault she just happens to be in the wrong place at the wrong time. Bestselling author, and former resident of Sadie's hometown, Thom Mortenson arrives to give a presentation for the library fundraiser. When Thom's manager is mysteriously shot while getting the microphone ready on the stage, Sadie is right there to uncover all of the clues. No, she didn't actually see the shot blast because she was savoring--eyes closed--a delicious bite of her very own Devil's Food Cake. But that fact would never deter Sadie's spry involvement. As the whirlwind night unfolds, Sadie is drawn into a complex web of information, each turn more surprising than the next. But the only caveat is that she must follow the trail of clues without the police, which takes a bit of navigation on Sadie's part. Sadie Hoffmiller is a delightful character, quirky, funny, and never fails to disappoint. Devil's Food Cake is another Kilpack classic, and like the other books in this culinary mystery series, the "whodunit" comes at a surprise. If you haven't read any of Kilpack's Sadie Hoffmiller series, you need to catch up! 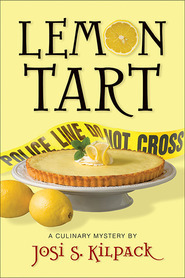 Previous volumes are Lemon Tart, and English Trifle, with Key Lime Pie coming Fall 2010. They are fun to read in order but not entirely necessary! I loved this book, couldn't put it down. Definitely a keeper. I love Sadie and I hope Josi keeps up the series! Sadie did it again and served Chocolate to boot!! Josi Kilpack is one amazing author. How she can come up with the amazing mysteries that she does amazes me each time I read one of her books. I have really enjoyed her culinary mysteries with Sadie Hoffmiller serving up the solutions to the murders. Devils Food made me realize they are getting better and better. oh yeah let us not forget the YUM Factor!!!!! If Sadie Hoffmiller's other adventures (Lemon Tart, English Trifle) were enjoyable romps, Devil's Food Cake is an edge-of-your-seat thrill ride. The events of the book all happen over about a 15 hour period--in a 350 page book, you can well imagine the wildness of the ride. We're introduced to a few new characters, and it's a real test to figure out who is the real villain. And, to top it off, there's a teaser in the back of Key Lime Pie--Sadie's next adventure. That tantalizing tidbit is going to haunt me for months!